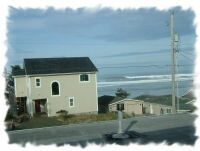 Ocean View Villa has an awesome view with quick beach access just 8 houses down the street. 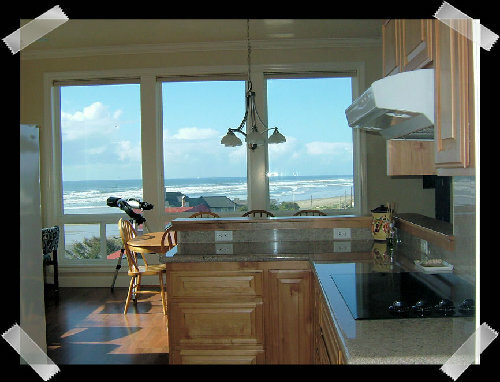 This "new in 2006" 4 bedroom 4 bath 2000 square foot house adds a whole different feeling to being at the beach. A custom home as opposed to the more beach-cabiny feel of some of our other places. 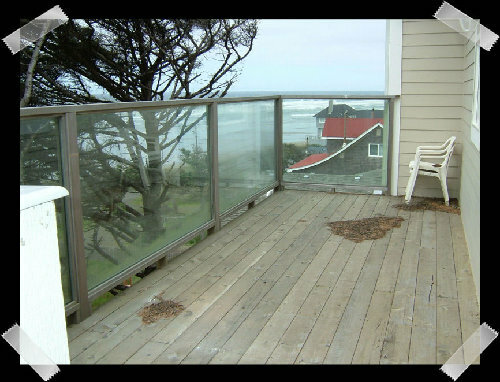 Three of the bedrooms are on the first floor, with the living space on the second floor to take advantage of the incredible views. 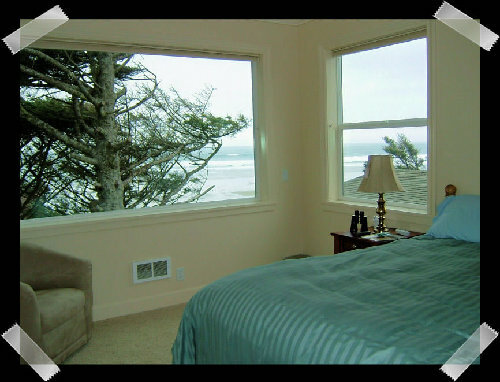 On the first floor, are 3 of the bedrooms, each with their own bathroom & view. 1 with a Queen bed & 2 with Kings. The Master Bedroom, also has a sitting area. They have wonderful mattresses and down bedding, that makes each one seem like a private retreat. Each bathroom, has a large shower with glass doors, large vanitys with granite tops, and a separate toilet room with pocket door. 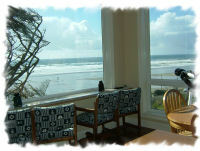 On the 2nd floor is the stunning great room with amazing views of the beach, ocean, & Heceta Head Lighthouse. A 40 inch LCD TV, and a propane wood stove. 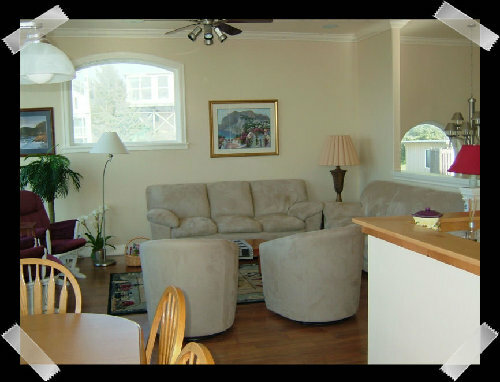 The gourmet kitchen has granite counter tops, glass cook top, a side by side refrigerator with water & ice in the door a large pantry, including a blender, and griddle. The dining table seats 8, plus a 4 person bar for casual dining. 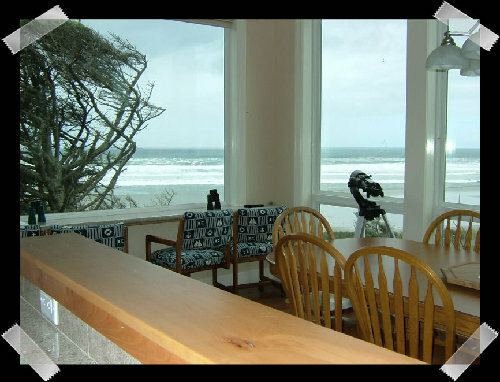 The bar is also the perfect place to sit with binoculars and watch Whales, Eagles & Osprey. You'll also find a spotting scope, and several sets of binoculars. 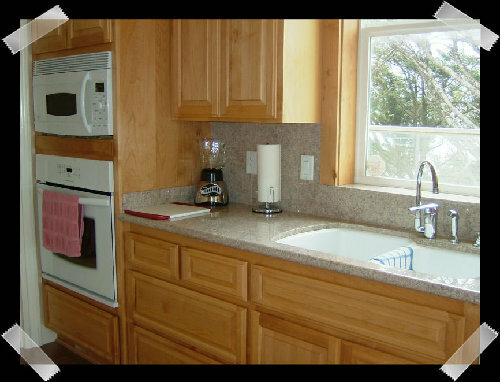 A Gourmet Kitchen - Granite Counter Tops, Frost Free refrigerator, Microwave, Oven, Glass Range, and all the pots pans dishes and flatware you'll need. 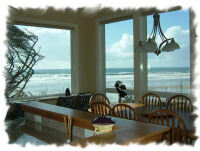 We had the pleasure of staying at this beautiful house in September. We had the best time and it is in the best location ever! 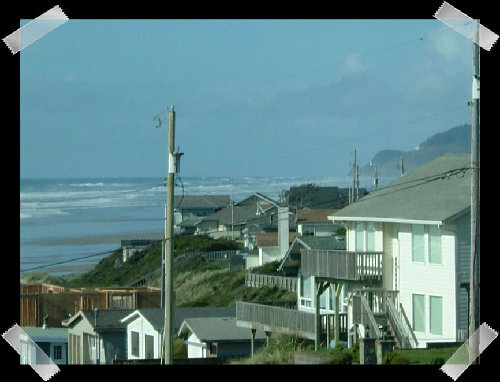 I am from Florence and all of my family lives there and they absolutely loved the house, it was perfect for us and I do want to stay there again, hopefully this year!! 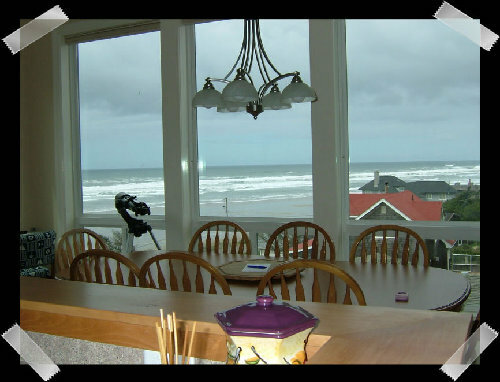 The house is awesome and the property management company was great! Thanks for the great time!